CeluRaid is a testosterone booster and pre workout that is currently available for trial. It makes a number of impressive claims that this review will try to discover if they are realistic or not. If you are thinking about giving this offer a shot then please read on before you hand over your credit card information. We will soon reveal if this offer is legit or not. 4 Is the CeluRaid trial a scam? To check that these claims are realistic you should look more closely at the ingredients that have been used. There is no product label available, so no way of knowing the exact ingredients used or what their dosages are. L-Arginine – that is converted into nitric oxide, causing your blood vessels to widen, which helps improve blood flow. This ingredient also helps stimulate the release of growth hormones and insulin. Creatine – Helps build muscle and strength by increasing protein synthesis. While these ingredients are proven to offer numerous benefits, as there is no label we cannot say for definite that any benefit can be gained. CeluRaid is available for trial, so you should read the terms and conditions to discover how much it costs. When you first sign up to this offer you will have to pay a shipping fee of R 102. This initial payment will allow you 19 days to try out this supplement. Once the trial period has ended you will be charged again, this time R 1,376. You will also be automatically added to an auto-ship program, so further deliveries will be sent to you at full price. 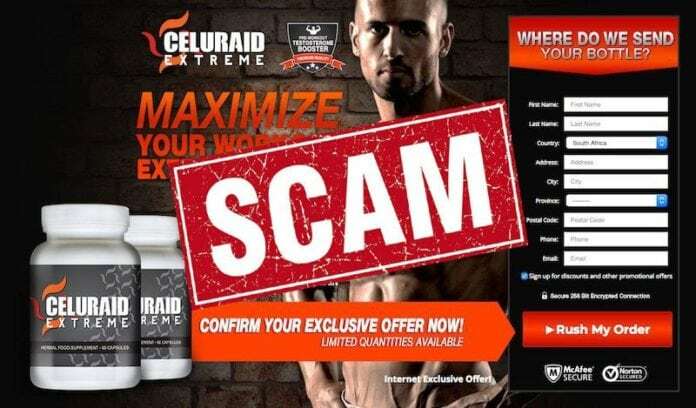 Is the CeluRaid trial a scam? Despite its impressive claims we cannot recommend CeluRaid. This is because the lack of ingredient information leaves use doubting the claims. The price is also too high, with the use of auto-shipping likely to lead to customer complaints. Our suggested alternative is not strictly a pre workout, but a range of products that are taken before, during and after a workout. The benefit of this is that you will be able to workout at maximum intensity, with all of the necessary ingredients needed for massive strength and muscle gains. You will also experience less fatigue and DOMS post-workout. 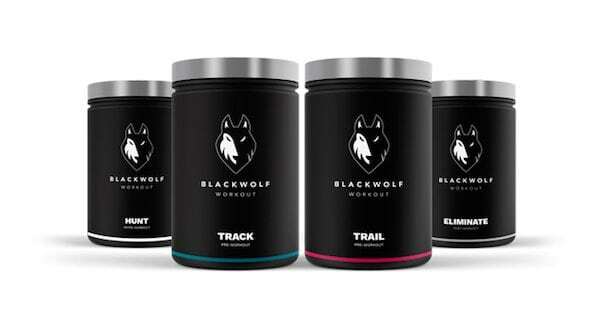 The name of this product range is BlackWolf, who have two packages available; one for men (Hunter) and another for women (Huntress). Both packages are made from safe and proven ingredients. And best of all as this product is not available for trial you can purchase knowing you wont encounter any hidden or repeat charges. I ordered a free trial for aus4.95 over a month ago and have not receive the item. Then the other day I was charge aus138.00 dollars. I have the package came yesterday which was sent and dated from the 24 jan 18. Jason, the above is a review. We do not endorse trial offers. Hi what website did you order this from the exact same thing happened to me! hi i ordered a trial got 2 bottles and a month later i recieved another 2 bottles which i never ordered not to happy about this just going to ring them and demand my money back. Tim, this page is a review. We do not endorse trial offers. You must use the contact details provided to cancel. I inadvertently signed up for the trial. My account was debited and I received a tub of God knows what. I emailed support@celluraid.com but it bounced back. Call them! Horrified at this terrible deceptive practice. Same deal, thought I had a low cost trial..then Whammo three more bills in fast succession. Disgusting scam. They refuse to refund and say they can’t. Everybody report them to Consumer Protection Utah. I have….thieving bastards. 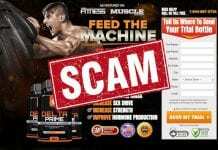 It is indeed a scam. I use to work for a company who ran offers VERY similar to this one. They offer you a 7 or 14-day trial for the cost of shipping. After the trial period ends, they charge you 30 or 40 times that amount as a re-bill and keep charging you that amount every month until you call to cancel your order. They make it very difficult to cancel. Always read the fine print before signing up for ANY type of trial.